Finding the right property manager in Broward County might, at first, seem like a daunting task. As a landlord, you care about your property, but you also care about your tenants and ensuring they have a great experience while they’re calling your property a home. In many ways, finding a great property manager is finding someone who will handle the client side of your operation the way you would, but handles the business side with the measured grace of experience. That being said, it’s not surprising that you have questions about the industry and how this business relationship works. Every question and answer will likely lead you closer to our shared values and give you a sense of DNS Property Management’s dedication to our community and the neighbors we serve, but it will also illuminate the valuable logistics of our transactions together. Thus, we’ve crafted this FAQ to help you navigate searching for, and finding, the right property management company in Broward County for you. A property manager is your can-do person in the real estate business. They’re specifically designed to cater to all of your tenants needs at any time so that you don’t have to. They’re meant to help you make the most of your time and your real estate investment. That means they act as the agent for the landlord and owner as well as preparing properties for rent, inspecting units before, during and after the lease term, as well as marketing the property when trying to fill vacancies. In addition to these duties, your property manager should make the property accessible for when aspiring tenants want to view the unit, they should review all the renter’s applications and screen those applications as well as coordinate lease signing and renewals. Duties like maintaining the investment property’s appearance, providing administrative and financial property management, on-site leasing, maintenance and management for multifamily property management, logging tenant correspondence, providing access to rental property software, and coordinating payments to the owner from the tenant all fall under the duties of the property management company. How Do Property Management Companies Find Tenants For my Property? Calculated marketing techniques combined with real estate and neighborhood market research. There markets are always adapting and as renting through online portals becomes more and more popular, your property will need to stay accessible through all of the arising platforms. 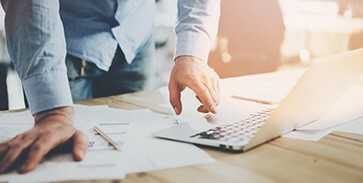 The best strategy to staying in-line with all of these rising and falling trends is likely to stick with a savvy property management company who specializes in ensuring properties are marketable and top-of-mind for the most eligible tenants in the area. What Does a Property Management Company Look For In Tenants? If an applicant can prove they’re in a stable relationship with their job, they’re far more likely to be responsible people who pay their rent on time and stay for the whole lease period. A good history of paying your loans and having a healthy financial portfolio is highly attractive. Asking about the number of people who intend to live in a unit or property gives you a great pulse on how to avoid overcrowding your multifamily units. One unit with 8 people does not pair well with a number of other units that only have two people or three people in each of them. Obviously, having a copy of a driver’s license and crossing the other “t”s and “i”s will ensure that you have a way to access the tenant if they were to leave in the middle of the night or start refusing to pay rent. The price we can fetch for each unit depends on a number of market-based factors. 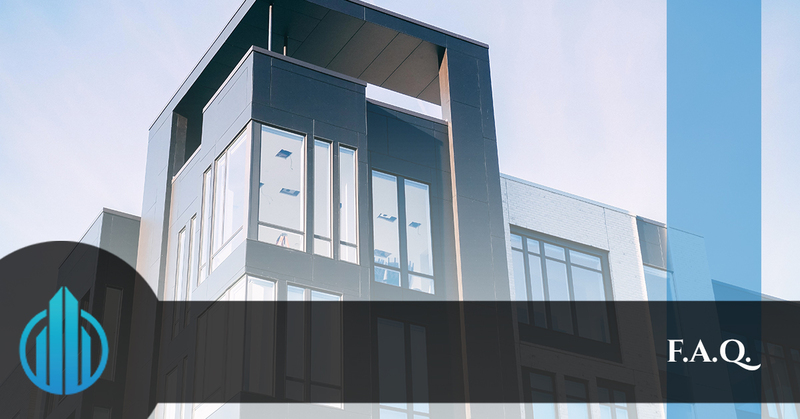 The condition of the property as well as the location, amenities on the property, rental rates in surrounding areas, are just a few of the many different pieces that come together to create the final leasing price. With years of experience helping our customers lease out their multifamily properties all around the Broward County area, we’re familiar with the ebbs-and-flows of our local market. We can guide you to competitively price your multifamily property units and we’ll show you how we came to the price point we determined is will provide the best profit margin, retain rate on tenants and more factors when we start working with you. How Often Will I Hear From DNS Property Management? We can customize your correspondence with your property manager at DNS Property Management as often or infrequent as you’d like. If you want alerts for every time we need to handle a situation at your property we can establish that precedent. Whatever timeline you expect we can accomodate. As property managers, we believe it’s our duty to explore schedules that are more convenient to you, as we’re essentially your concierge and window into the state of your property. You can be as involved or involved as you’d like and we’ll handle all of the logistics of those specifications. Does a Property Manager Handle The Middle Of The Night Calls? Your property manager should definitely handle the middle of the night calls. Maintenance of all kinds and the needs of your tenants is in our wheelhouse. It’s one of the major benefits of hiring an experienced property management company to help you manage your multifamily properties in the Broward County area. What Do I Do If A Tenant Breaks a Lease? 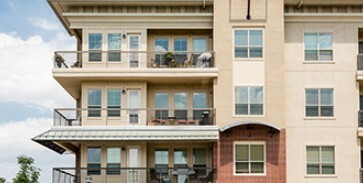 As your property management company, the tenants in your multifamily rental property are our responsibility. When a tenant needs to break a lease or get the property sub-lease, we inform them that they are responsible for all the costs that are incurred for the owner if the tenant had not broken the lease, such as cleaning the unit and running the application fee for a new tenant. They’ll need to pay the rent, the lawn care and other utility costs and the cost of rekeying the doors. Once those costs are covered by either the previous tenant or the new tenant that they subleased to, then that individual will be released from the lease. If that sounds complicated, don’t be spooked by it, because we’re here to cover all of those details so you don’t have the headache. We’re excited to start helping you get more out of your multifamily properties. Hand off the logistics and time consuming portions of your real estate investment ventures to us. DNS Property Management finds extreme satisfaction in helping our community members in Broward County find the best lodging options for themselves and making the most of their time by taking things off their plate. If you can’t find your questions above, reach out to us. We’re always happy to answer questions and further discuss our services and your properties.